Warren Buffett Sustainable Growth is a quality investing strategy inspired by an interpretation of Warren Buffett's investment approach by Mary Buffett and David Clark in their book, The New Buffettology. It is a strategy that combines Buffett's focus on value and business quality. To work out whether the stock is reasonably valued, the strategy forecasts sustainable earnings growth; the higher that growth rate is, the more likely it is that the company has a durable competitive advantage. The strategy also looks for low debt and a growing earnings yield, return on equity and return on capital employed. In The New Buffettology, Mary Buffett and David Clark explain: "Consistency is everything. Warren is not after a company that occasionally has high returns on shareholders' equity, but one that consistently earns high returns." Remember, Buffett is famous for looking beyond financial measures when examining the quality of a business franchise. 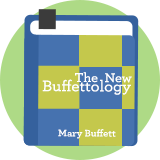 The original book, "Buffettology: The Previously Unexplained Techniques That Have Made Warren Buffett the World's Most Famous Investor", was published in 1997 - a more recent edition, "The New Buffetology" was released in 2002. We are not aware of any backtesting for this screen.